As the speed of change is accelerating, the ability to rapidly perceive and respond to this change becomes a major challenge. Communication Service Providers (CSPs) have to "listen" to customers more carefully and "respond" back in real-time, with a relevant and engaging way that addresses customer needs. Therefore, CSPs need a way to improve customer experience, maximize loyalty and, eventually, achieve better commercial results. 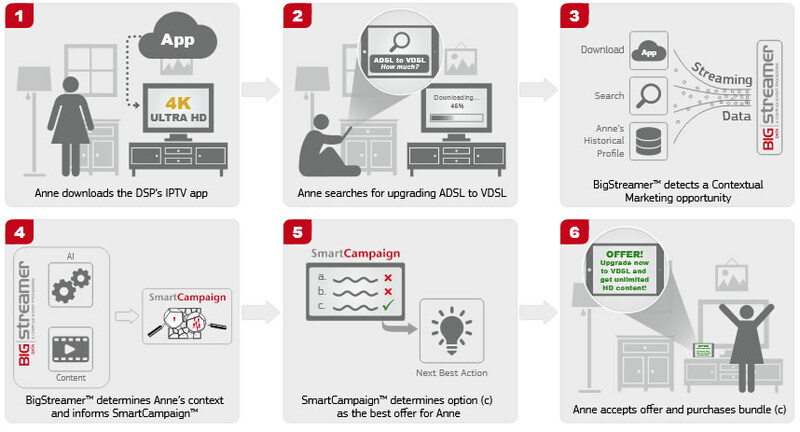 SmartCampaign™ provides a flexible framework for creating, managing and monitoring of targeted & personalized campaigns across all channels. It enables operators to adapt their marketing efforts, quickly and successfully, to the benefit of improved market share and customer experience. 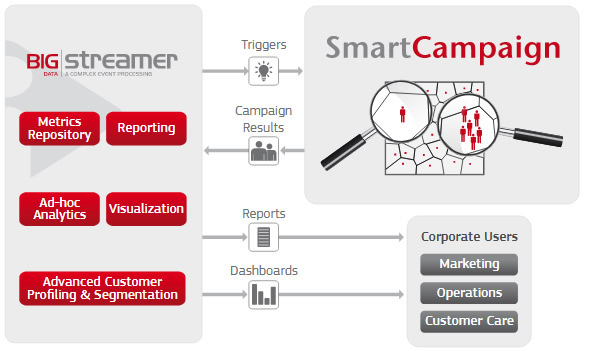 SmartCampaign™, strengthened with Intracom Telecom's BigStreamer™ analytics (see Figure 1), delivers sophisticated targeted and personalized campaigns, real-time data previews, interactively design reports and dashboards that quickly convey business trends. 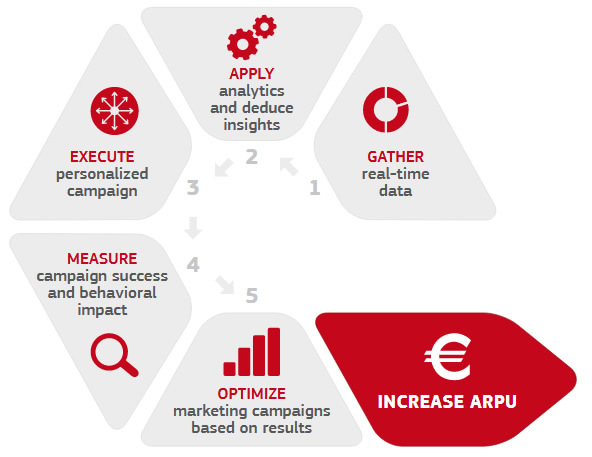 Through the 5-step business process illustrated in Figure 2 above, SmartCampaign™ solution increases ARPU giving CSPs a competitive edge and leading to new business opportunities. SmartCampaign™ solution enables Communications Service Providers to attract new subscribers, enhance customer loyalty and increase revenues through real-time, targeted promotional campaigns. Real time targeted campaigns based on the context of each individual customer. Approaching customers by offering products & services they are interested in. Loyalty campaigns for approaching users who haven't topped-up for x days, after their balance has reached a specific threshold. Upon recharge a code is produced, the subscriber is asked to play the code in a 3rd party app, in order to win more prizes.